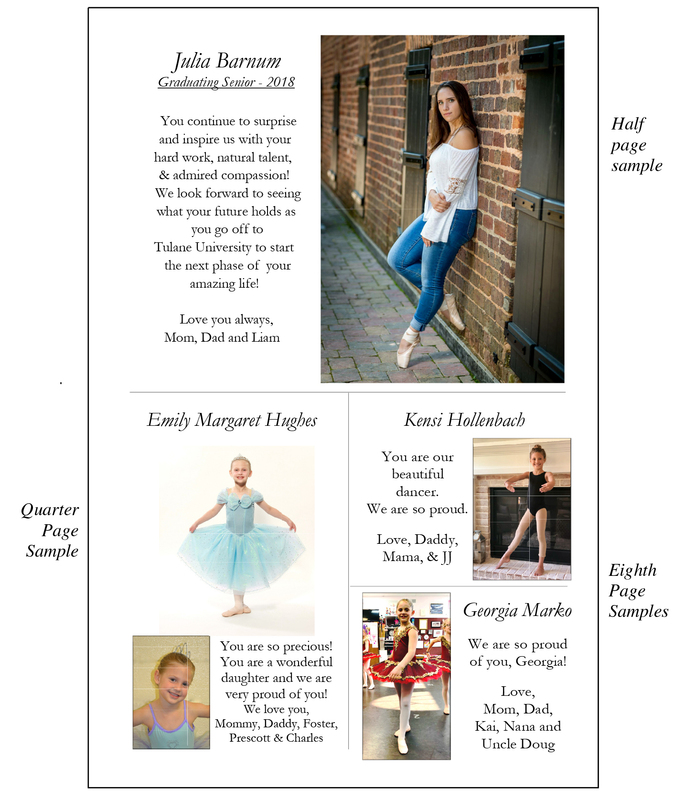 Give your dancer a SHOUT OUT in the 2019 Recital Program! The Tolbert Yilmaz School of Dance is offering “Shout Out” ads in its 2019 Recital Program. Gather family and friends to celebrate your dancer’s year of hard work. We just need a photo or two and the wording for your ad. We’ll take care of the rest. 2. EMAIL your ad text and photos (digital high resolution, color, jpeg) to Nancy Schwerin. In your email include your dancer’s name, contact name and number.